The hotel is connected to a 100 percent ON-LINE reservation system. Using this system you can make a binding reservation including desired sort of payment and also printing of a confirmation of your reservation. 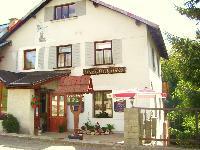 A beautiful family-run guesthouse in close proximity to the centre of the mountain resort of Rokytnice nad Jizerou. Family Pension and restaurant U Zastávky - KOREJ is located in the tourist and ski resort of Harrachov in the Giant Mountains near the West lifts and chair lifts. 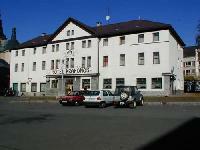 The hotel is situated in the heart of Krkonose mountines, above the center of Spindleruv Mlyn. The family hotel Krakonoš is located ideally at the centre of the town Rokytnice on Jizera,which is situated at the western part of Giant Mountains - 600 m above sea level. The renovated cottage with a large living room in Lower Rokytnici for year-round accommodation not only for families with children. 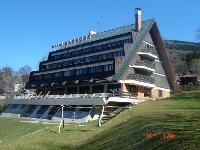 Juniorhotel ROXANA nearby the downhill ski complex at Studenov. Savoy Hotel is in the centre of Spindleruv Mlyn. It features Spa by L'Occitane with a sauna and a hot tub, a business centre and a games room with table football. Free WiFi is provided in the entire building. 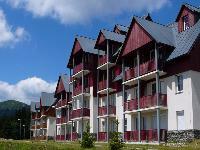 Hotel ALPINA is located at the wonderful nature of Krkonoše National Park at the very heart of Krkonoše Mountains – in Špindlerův Mlýn. 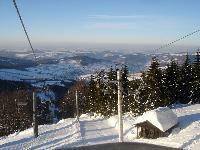 The Hotel is located at the foot of Kozí hřbety (local mountain ridges) 900 m above sea level, near the Svatý Petr skiing resort. Located in the Krkonoše National Park, 1030 above sea level, secluded Hotel Tetřeví Boudy offers views of Žalý, a fitness, a games room, a sun terrace and free WiFi access is provided. Tetřeví Boudy is non-smoking hotel. The property consists of 4 buildings. The boarding-house BONA is situated in the peaceful part, near the centre. The hotel Bedřiška is situated in the centre of Spindleruv Mlyn. Experience the Alps in the heart of the Giant Mountains - the smell of wood, complete privacy, perfect care. Portášky mountain lodge is located in the most spectacular part of the beautiful Krkonoše National Park.